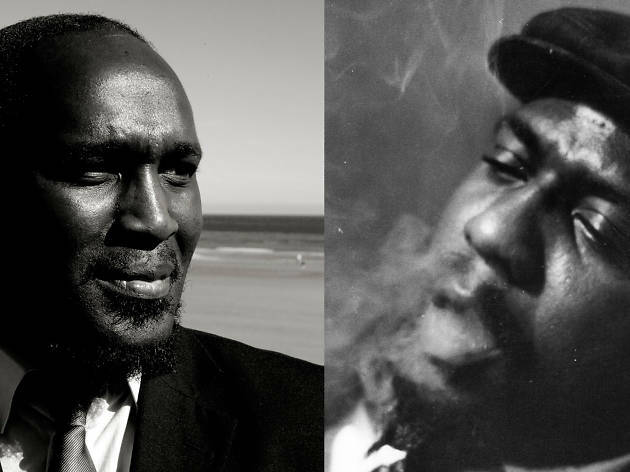 British multi-instrumentalist, Tony Kofi, is coming to Israel to perform a 100th birthday celebration dedicated entirely to jazz piano icon, Thelonious Monk. As a saxophone player and flutist, Kofi heads a number of ensembles with which he performs at the most prestigious jazz festivals and clubs around the world. He is bringing his quartet from The Monk Liberation Ensemble to Israel directly for this special event. The man behind the Monk shares insight into the High Priest of Jazz's motives, reveals Monk's most underestimated songs, and explains how a musical friendship was born out of "Trinkle Tinkle." You first began woodshedding the Monk songbook back in 2000. How have your interpretations changed over the years? Are you still gaining new insight into his tunes today? Actually I started woodshedding Monk as far back as 1995 alone and then with Jonathan Gee and the other guys in 2000. I’m always gaining new insights with Monk’s music. I just recently performed Monk at The Town with Charles Tolliver conducting and there’s this really tough section in "Little Rootie Tootie" that was taken from Monk’s original solo; when you listen to Monk's take, he plays it so effortlessly. Pure genius. What is your favorite Monk standard to play? One of my favorite Monk tunes is "Ask me Now." I love the movement through the chords, always keeping you attentive. What lesser-known Monk gem should the world know about? Well, there’s a wonderful composition of Monk’s entitled "Who Knows" and another call "Sixteen"–not as popular as the other classics, but equally beautiful. If Monk were alive today, what is one thing you'd want to ask him? I’d ask him how did he come up with such great compositions like "Trinkle Tinkle" and "Brilliant Corners." It still amazes me that every time I play them or hear them, they feel fresh and new. How does it feel to honor him on his 100th anniversary? 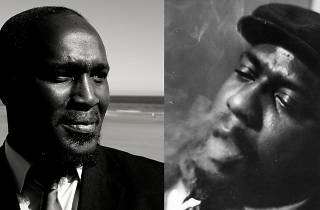 It’s such a great honor for me because Thelonious Sphere Monk is my all-time favourite composer. Learning his music has been such a great musical journey so far and I’m always discovering new things within his music. Monk has such a unique style, and many musicians fall into the trap of replication rather than reinterpretation? How do you make Monk your own? I make Monk my own by approaching his music as honestly as possible from my perspective. Although I listen to the recorded compositions, I still try and approach them in the way that I feel them. Monk also often refused to grant interviews and barely spoke to his audience because he "preferred to let the music speak for itself." Do you agree with this approach? Monk was a law unto himself and anything he did was all right with me. His audience loved his music weather he spoke to them or not. I’m sure you’ve heard the saying, "music speaks louder than words"… so I neither agree nor disagree. I like speaking to my audience because that’s just the way I am. Can you tap into your creative process? I’ve always believed that my creativity is channeled from a higher source, I can’t explain why I’ll compose a composition that comes to me while sitting on a train or why I approach music a certain way, but I do believe that it’s a blessing to do the job I do. Tell me more about the Monk Liberation Ensemble. The Monk Liberation Ensemble started out as a quartet in 2000 and in certain situations expands to a 10-12 ensemble and rotates into different formations. Our objective is to keep the music fresh and interesting by adding our own arrangements. Our trip to Tel Aviv will showcase the quartet. Was your chemistry with Jonathan Gee immediate? Well our friendship sparked off around 1999 because for months I’d been trying to learn "Trinkle Tinkle" by ear and when I finally got it under my fingers, I decided to play it down at the 606 jazz club in London. That night, Jonathan walked in just as I was starting that difficult composition. He looked so shocked, during the break he came up to me saying he’d been trying to learn that tune all day without much success and was surprised to hear someone perform it live for the first time. So he asked me if I’d like to get together and play through "Trinkle Tinkle" and all the other Monk tunes, and that’s how our solid musical friendship was born. We’ve been paying ever since–a friendship born out of Monk’s music. Personally, I'm a huge Monk fan, but his (non)standards can be intimidating to a less informed crowd. How do you go about making his music accessible, yet preserving his most admirable technical traits? Monk is very hip and if you like jazz you’ll enjoy Monk. As complex as his music can be, it’s also very, very catchy and can hook you easily. Listen to "Break’s Sake" or "Pannonica," such melodious compositions. Do you feel you have successfully kept Monk's legacy alive? I’ve definitely contributed to bringing his music to new audiences. There are delegates all over the world doing an amazing job by keeping Monk’s music alive. In your opinion, what was his greatest stroke of genius? Well, if you get to 100 and people are still performing your music then to me, you’re a genius. [His] music is influencing a new generation that wasn’t even born when this music was being performed by its original members. Monk is not the only one-of-a-kind Jazz legend you've paid homage to. Ornette Coleman is another man who's music was not always understood. You mentioned in an interview at Jazz Steps Nottingham that when working with Colman, he told you, "Don't let this music die." Do you feel you're helping Monk, Coleman, and other complex musicians of the times become better understood? Ornette was a very unique and special musician and when I went to New York to record the For the Love of Ornette album with Jamaaladeen Tacuma (who invited Ornette to the session), Ornette said to me in a passing comment that he wants his music to live on, which was lovely of him to say to me. So I've got a quartet that performs his music. I’ve had people come up to me saying they never liked free music, but love what we’re playing. So yes, musicians can’t avoid these two masters' music–they're both very important, creative musicians who’ve left us all with an amazing body of work worth playing for years to come. Their music will no doubt inspire young and upcoming musicians to great heights, I’m not sure where I’d be now if it wasn’t for Monk and Ornette. You also write originals. Where do you draw your inspiration from when producing your own music? I draw my inspiration from life itself–my highs and my lows all contribute to what comes out of my music. I’ve composed a large body of work where hopefully next year they'll be played in a big band format. I really love the big band sounds and how one can expand their music through all those instruments and harmonies. What are you most excited about in coming to the Holy Land? It’s actually my third time in Israel. My first time was in 1994 with a jazz hip hop group called US3, and my second time was in 2006 with the World Saxophone Quartet, which led to why I'm coming again. It’s through my last trip that I met Barak Weiss who has made all of this possible. What are your goals with this trip? To have a great time, meet some wonderful people, and share some good music. Monk's performance presence was an important element of what made his concerts so intriguing. What sort of performative elements will you be drawing on in this 100th anniversary show? We’ll definitely be drawing on the fact that Monk’s music isn’t just for the serious jazz head, it’s for everyone. Will you be mixing in any originals or strictly Monk tunes? Strictly Monk for this trip, there won’t be another 100 years to celebrate, so we may as well do it this time around. What's next for Tony Kofi? I've just finished recording a new project with myself on Baritone saxophone and an Organ trio–we're playing some great popular standards which I’ve never recorded before. I also just recorded as a side man an homage to Alice Coltrane, so two exciting projects for 2018. If someone were to carry on your legacy, how would you want them to take on your music? To play it the way they hear it and with honesty. Music is the universal language of truth and touches us all in many ways. Tony Kofi will perform at the Tel Aviv Jazz Festival on Dec 6 (Zappa Herzliya) and Dec 7 (Tel Aviv Cinematheque). Check out the events here.